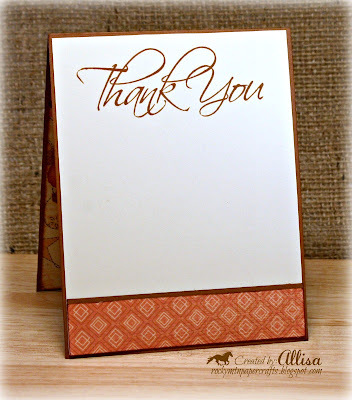 While this card could be used for many occasions, I never seem to have enough Thank You cards....so a Thank You card it is. 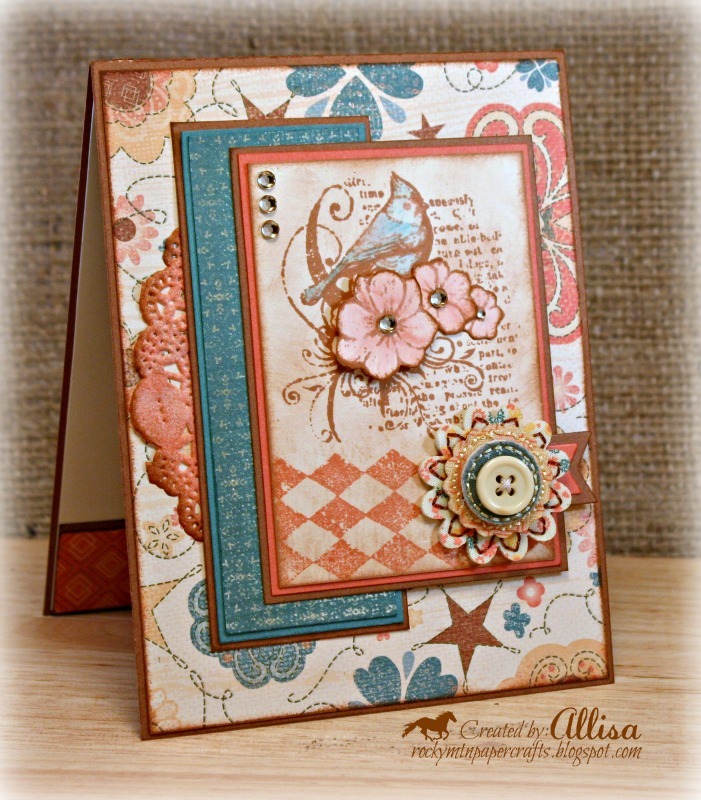 This is such a pretty card :) thought I would stop by your blog and say hello :) your cards are lovely! This is simply lovely! Those colours look fabulous. Your card is gorgeous! Love the cardinal collage. Thank you for playing along with us at Twisted Tuesday Challenges. Gorgeous card! I really like the mix of colors and papers! this is gorgeous, luv all the details, very sweet...hope you have a wonderful week! Allisa this is such a pretty card. I love the colors you've chosen and the stamped image is beautiful! Very nice card, I love the color theme! Thanks for being a part of our Twisted Tuesday challenge. What a beautiful card. Love the colours you have used here and great design and layout.